The Huntsville Festival of the Arts Scholarship Award was introduced in 1997 to foster the development of the performing arts talent in our community. Over the years funds have been offered to various age groups, however in recognition of the increasing costs of post secondary education, in 2012 the Festival decided to direct its scholarship funds to the Senior graduating students. Once again this year the Senior Awards will total up to $3,000. Scholarship funds must be used towards the cost of tuition to a post secondary institution or applied towards lessons from a qualified instructor. Candidates must reside in the Huntsville/Lake of Bays area. Applications may be picked up from the High School Guidance Department or the Huntsville High Music Department. Applications are to be completed and mailed back to the Festival office by a specified deadline in June. In addition to the application, each candidate may be required to perform a live audition in front of an adjudication panel. Award recipients will be notified during the week following the auditions. 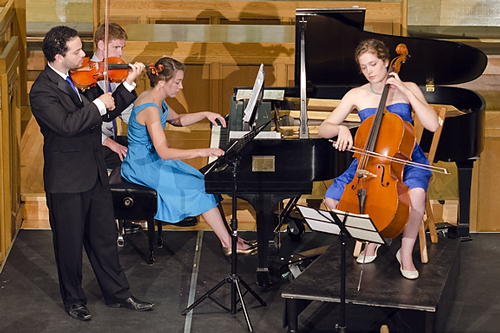 Previous Festival scholarships have been awarded to students pursuing studies in dance, theatre, and music. 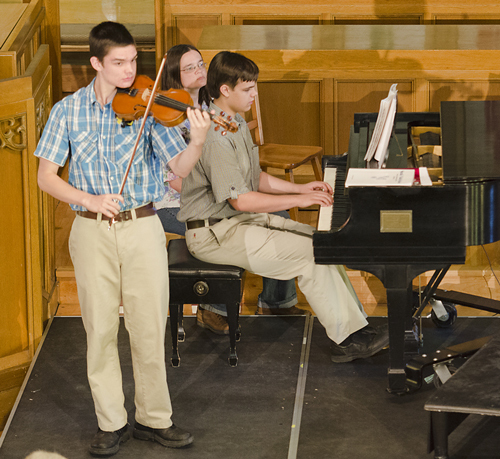 Scholarship recipients and applicants have participated in a number of performance opportunities over the years, both during main stage concerts at the Festival and Music at Noon concerts. For further information please contact Rob Saunders at 705-788-2787. In 2010, the festival undertook a $1,000 Huntsville Festival Visual Arts Scholarship (formerly The Tobias Award) to be awarded to a graduating visual arts student. Each year the art department at the school identifies a worthy candidate to receive this honour. For a list of all Festival Scholarship recipients click here.